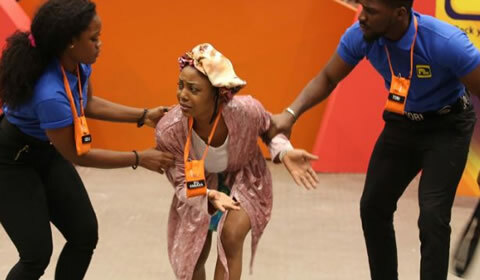 Big Brother Africa 2019 | Season 10 Housemates, News, Contestants, Live Stream, Polls, Nominations: Day 15: Did the housemates cope up with last week's theme? Day 15: Did the housemates cope up with last week's theme? On the second week of the season themed “Be Humble and Learn”, Big Brother took Housemates for a rollercoaster ride that left no one uncertain of who ruled the House. It’s just an Illusion. Step by step, Biggie took an enormous pleasure tormenting Housemates, first through the mock Nominations that exposed brittle male egos from amongst the biggest and brawniest. While the saying goes that one should always keep their friends close and enemies closer, for Tobi Teddy A was a dangerous rival to be eliminated at the first occasion. These two had been looking at each other from the corner of the eye and following the side-lining are unlikely to patch things up anytime during their stay in the House. The Second Time Around. That being said, Biggie’s luck did strike twice when Tobi was reappointed Head of House. Sadly though, it didn’t stick around longer as for the second time Housemates loss fifty percent of their Wager. But it is Biggie’s hand that gives and takes, sending shockwaves at will, and as always he made sure that his protégés never missed any luxuries of time, food and leisure, cajoling them with drinks, treats and entertainment before inflicting them with more invisible wounds. So after a few lenient days, not without stern warnings coupled with unbearable punishments, Biggie’s wrath stroked the House like a thunderbolt. The spirit of “Be Humble and Learn” took its full significance when egos were stripped naked, and Housemates had to hit and be hit with sour criticism from their peers. What’s bitten them? Beneath the glitz, wins and peace offerings, Housemates were knocked out right in their guts. As the painful fallout unravelled, cracks started to appear in the couples, with Cee-C and Tobi, Miracle and Nina successively bickering. The increased frequency of outburst of tears and rants peaked when the Lolu broke down in tears after DJ Exclusive . Unpredictably, Biggie never stopped doting on his nest and sprinkled moments of joy among Housemates, with some like Bambam and Teddy sealing these much needed breathers with a kiss.